If you own a small business, one thing which you should absolutely budget and plan for is a retirement plan. There are many excuses people can come up with to not begin saving for their golden years, but no excuse will ever justify not getting started. If you are a small business owner, retirement planning is essential and you need to be aware of the differences and benefits among the plans which are available to you. The last thing you would want to have happen is that you end up relying on the welfare system or possibly having to live with your children to make ends meet. 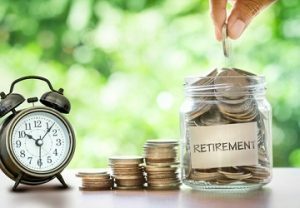 It certainly can be very difficult to understand the various nuances among the different retirement plans, and so it is important to understand the differences before you simply choose one that looks best. It may be the best advice you seek and get! Among one of the easiest retirement plans to form is the SEP or Simplified Employee Pension. In a nutshell, it is a retirement account for business owners and self-employed individuals. Basically, contributions are tax-deductible and investments will grow tax-deferred until retirement, at which point distributions are taxed as income. What is important to know with SEPs is that your employees are considered “eligible participants” which means if they chose to have an SEP you, as their employer, must contribute on their behalf an equal percentage of compensation to your own. Some other important facts to bear in mind are employees must be 21 or older and must have worked for you 3 out of the last 5 years and have earned at least $600 during the past year. The cap for contributions is 25% of an individual’s compensation with a maximum amount of $55,000 per year for 2018. Another equally easy to establish retirement plan to consider is the SIMPLE IRA or Savings Incentive Match Plan for Employees. This account allows eligible employees to contribute part of their pretax compensation to the plan as an elective-deferral or salary reduction contribution. This means the tax on the money is deferred until it is distributed. SIMPLE plans are often called the poor man’s 401(k) because the maximum yearly contribution is $25,000; however, small business owners who typically employ between 5-15 workers find that this retirement account works best. Employers are required to make either matching contributions which are based only on elective-deferral contributions made by employees or non-elective contributions, which are paid to each eligible employee regardless of whether the employee made salary-reduction contributions to the plan. For a matching contribution, the employer’s contribution may match the employee’s elective-deferral contribution dollar for dollar, up to a maximum of 3% of the employee’s compensation. Another account worth understanding is the 401(k) which is a tax-deferred retirement plan for self-employed individuals that offers the most generous contribution limits of the 3 plans mentioned. It is the most appealing for businesses that have employees who do not have an ownership interest. The 401(k) plan offers the best contributions as far as largest amounts that can be put aside because it recognizes that self-employed people wear two hats—as an employee and as an employer. In fact, as an employee, you can make elective deferrals of up to $18,500 for 2018. As an employer, you can make a profit-sharing contribution of up to 25% of compensation, up to a maximum of $55,000 for 2018. In addition, you can also take advantage of catch-up contributions of up to $6,000 for those who are age 50 or older in 2018. There are also eligibility for added tax breaks; for example, if your business is not incorporated, you can generally deduct contributions for yourself from your personal income. On the other hand, if your business is incorporated, it can usually deduct the contributions as a business expense. Like most choices for small businesses, deciding on and setting up a retirement plan largely falls on the shoulders of the owner. Often, it can be an endeavor that is pushed to the side and less prioritized, but that really should not be the case. The good news is that whether you go with a SEP, SIMPLE, or 401 (k) retirement plan, setting up any of these requires easy steps and low costs. In order to ensure that you have chosen the right plan for your small business, yourself, and/or your employees, reach out to us at Dallo Law Group for expert and up-to-date advice on the best retirement plans for you. Our team is qualified and eager to discuss all your options so that you can feel confident about moving forward. Give us a call at 619-795-8000 to set up a free consultation. We look forward to working with you.